There are so many different cliches you can use when you talk about The Flash Season 1 Episode 16. What a difference a day makes. Hindsight is 20/20. None of them, however, truly prepares you for what is to come during the hour. 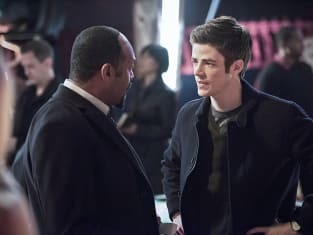 If you were writing the show, what decision would you want Barry to make about the preceding day's events? Should he let it ride and try not to mess with the time continuum or should he ensure that things he witnessed never come to pass? What happens when The Rogues come to town and nobody even mentions they never made it to Iron Heights Prison? You really have to wonder about little things like that, you know? OK, maybe not when you're more worried about space and time. How worried should you be? Very. Someone dies. DIES! 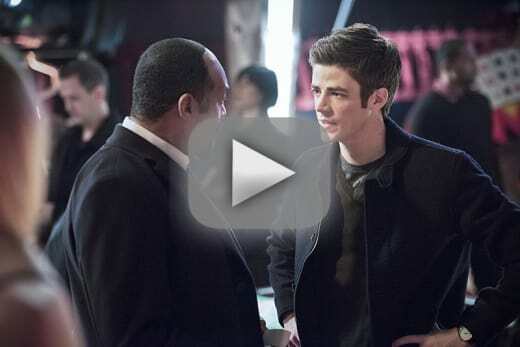 Find out who it is when you watch The Flash online. Click now!